Cristiano Ronaldo is the happiest person in the world at the moment. Why wouldn’t he be? He has become a father for the second time, to two beautiful babies! And now, the babies have been introduced to his eldest son, seven-year-old Cristiano Ronaldo, in an adorable bonding moment for the family. 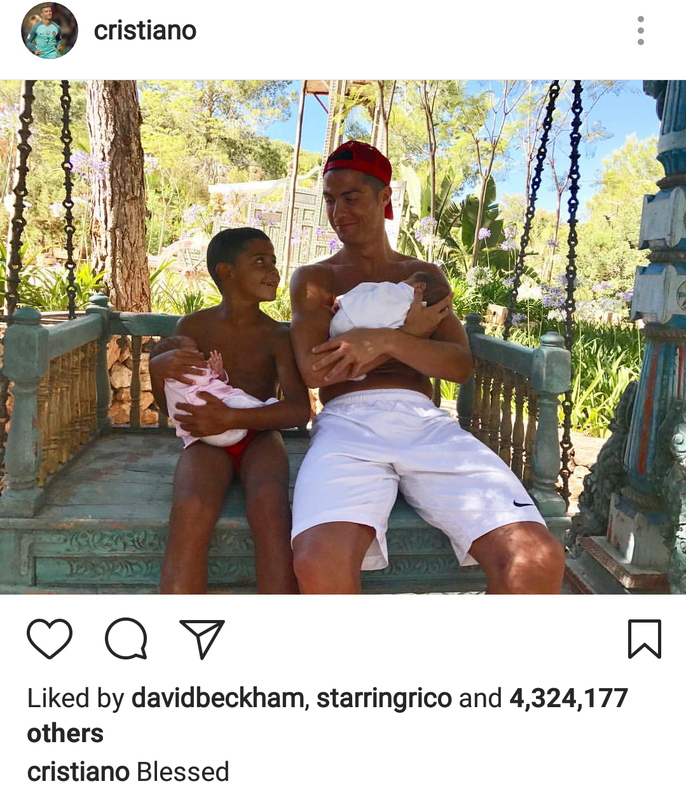 Ronaldo posted a picture to share this beautiful moment with the world. All four of the Ronaldo boys in a single frame – it’s a truly beautiful picture. As Ronaldo hugs one of the little ones in his arms, his son cuddles the other one. The two stare at each other lovingly. 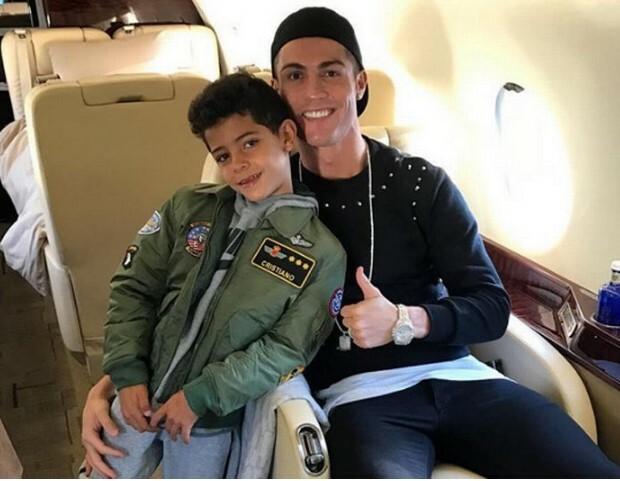 It seems that Ronaldo’s eldest boy is happy and excited to embrace his new brothers. And Daddy Ronaldo is at peace to see his little boys bonding. that’s evident from the smile on his face. He has also added a caption that seems appropriate for the moment depicted in the picture – “Blessed”. The picture has already gone viral. 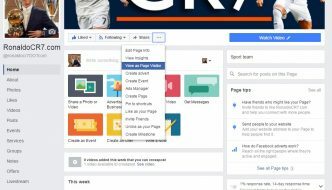 It has been liked by more than 4 million of his followers, within half a day of posting it, including a hit from former Real Madrid soccer star David Beckham. And this is just on Instagram! 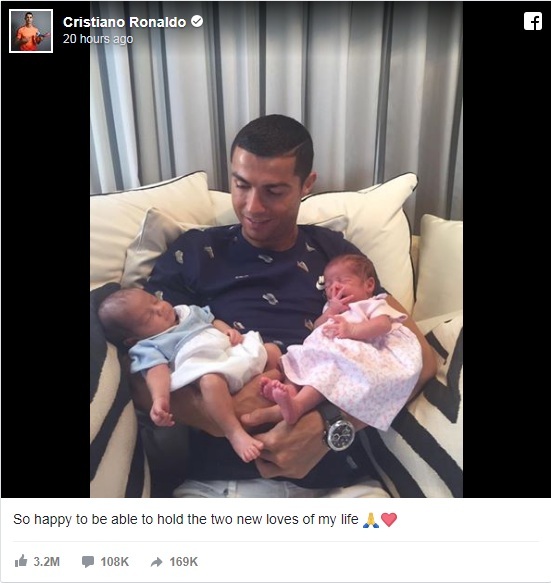 Ronaldo had earlier shared a picture of himself with his twins, which had also gone viral. 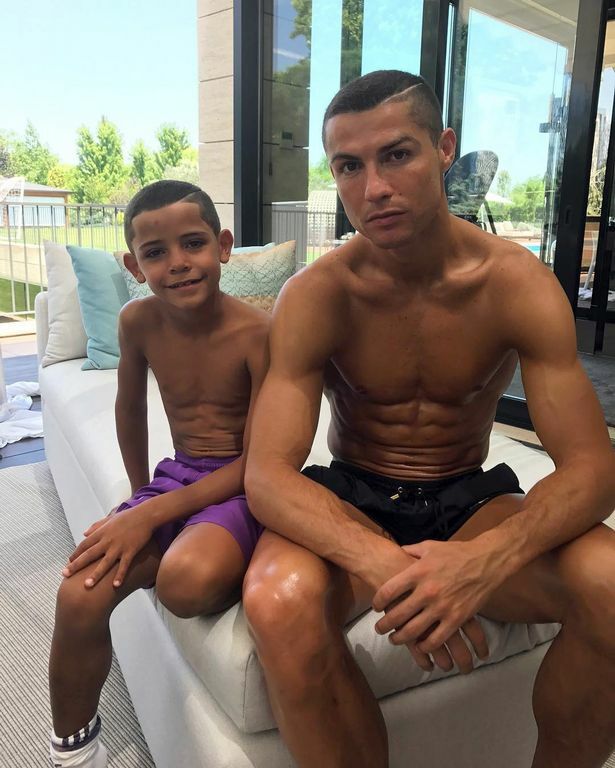 While Ronaldo was in Russia representing his national team in Confederations Cup, the twin boys were born to a surrogate mother, under much speculation. 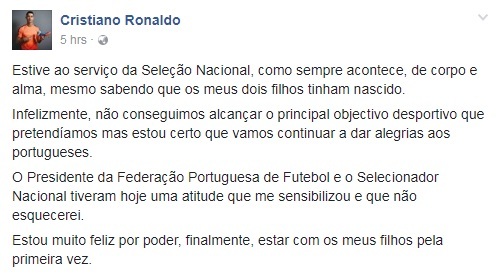 It was only after Portugal’s exit from the tournament that Ronaldo took to the social media platforms to confirm the birth of the babies. He then went back home to meet his boys for the first time. Meanwhile, a large amount of controversy has been surrounding the player for some time now. 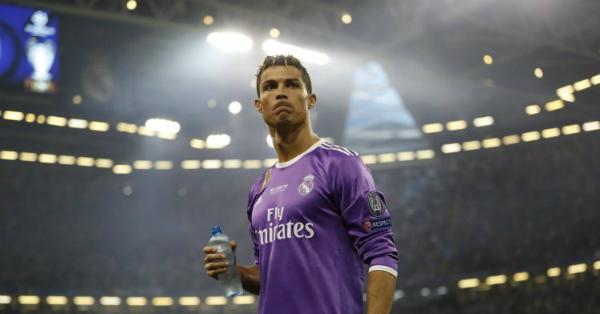 Charges of tax allegations have been brought upon him by the Spanish authorities, and while he has denied them vehemently, he has also expressed his disappointment in his club, Real Madrid, for not backing him enough. There are rumours that he will leave Real Madrid because of this, but the player has said that he never threatened to leave the club, though he has neither confirmed nor denied his Real Madrid exit. But, it seems that all the negativity has not been able to take away from Ronaldo’s joy of fatherhood. Grapevine also has it that Ronaldo’s girlfriend, Georgina Rodriguez, is five months pregnant, which means that Ronaldo is soon to be a father again. While the couple has remained unavailable to answer any question in this regard, Ronaldo’s mother, Dolores, has denied all possibility of Georgina’s pregnancy.